If you're going to be a horror fan, you've got to develop a thick skin. No other genre punishes its fans to such a degree. No other genre demands that its fans wade through so much junk to find gems. No other genre is more ready and willing to produce a dozen cash-in sequels to a movie you love. Being a horror fan means watching the eighth sequel to a great movie and learning to enjoy the needle-in-a-haystack search for decent moments in an atrocious film. Insidious is an excellent film, but with Insidious: Chapter 2 about to hit theaters, horror fans all over the world are bracing themselves. Most seasoned genre buffs are probably going to go in expecting the worst and hoping for a pleasant surprise. However, this is also a good time to remind yourself that there is such a thing as a good horror sequel. Hell, there is such a thing as a horror sequel that is just as good as (if not better than) the original! So, before everyone writes off Insidious: Chapter 2, let's get optimistic. Let's remember the horror sequels that didn't leave us sad, distressed and pining for part one. Clive Barker's Hellraiser is a certifiably crazy movie filled with insane imagery, creepy-hammy performances and some of the best special effects makeup and monster design the horror genre has ever seen. The sequel, somewhat awkwardly titled Hellbound: Hellraiser II, takes everything that worked about the first film and turns it up to 11. The scope is bigger. There are more crazy creatures. Everyone is yelling and spitting and turning into demons. And so on. The first film was almost classical in how it valued slow, lingering menace over constant gore, but the sequel takes a hard left turn into Crazytown, going big and going big often. It totally works, too. Taking place directly after the events of the first film, Hellbound: Hellraiser II simply rides the insane (and occasionally nonsensical) momentum of the first film's climax. When viewed side by side with part one, the sequel's absurdity feels like a natural extension of how the first film concluded. It may be a different flavor, but it's the perfect chaser for what came before. The Friday the 13th franchise has had its fair share of ups and downs, with some films in the lengthy series being pretty good and others managing to dip below unwatchable. The series was rarely as competent as the first entry (which is a fairly typical '80s slasher flick), but Friday the 13th: The Final Chapter actually manages to feel like a real movie, which is more than you can say for many of the films in the franchise. Although lacking the whodunnit aspects of the first film, The Final Chapter (actually just part four) is an extremely entertaining slasher flick filled with more than enough gore and silliness to go around. 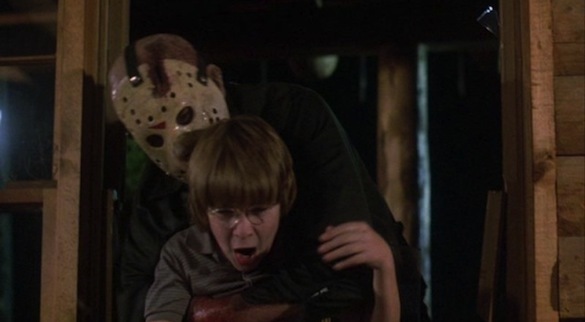 It feels like the best and purest example of a Friday the 13th film as pop culture remembers the franchise -- it's one of the few films where the hockey-masked Jason stalks teenagers without any additional bells and whistles. 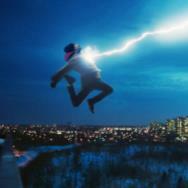 Later films would add gimmicks. Some, like Friday the 13th Part VI: Jason Lives' intentionally goofy comedy, worked. Others, like the psychic girl who battles Jason in Friday the 13th Part VII, do not. The Final Chapter is a high water mark for a series that was always popular and always entertaining while very rarely actually being good. The first Final Destination film is a perfectly decent movie. It's fine. It gets the job done. You should probably see it. But Final Destination 2? That's the good stuff. 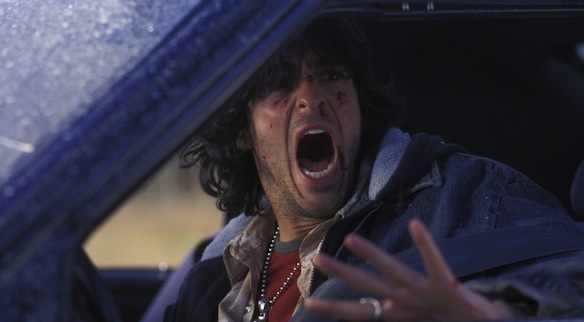 A sort of slasher film where the killer is Death itself and his weapon is a nutty combination of physics and bad luck, Final Destination 2 is all about finding the craziest and most unexpected ways to off its attractive young cast. While the first film operated under the pretense that it was a real movie, the sequel fully embraces the funhouse aspect of horror movies, dancing from elaborate set piece to elaborate set piece, giggling at all of the creative ways it has found to completely decimate people. With a tongue firmly planted in its cheek, Final Destination 2 gives you permission to laugh as the cast gets whittled down by increasingly ludicrous Rube Goldberg-esque accidents. Later sequels would take this goofiness way too far, but everything about part two is pitch perfect. Eli Roth's Hostel has already begun to look like one of the more underrated horror movies of the 2000s, but the dirty secret is that his Hostel Part II is actually much better. Made by horror fans for horror fans, the Hostel films are extreme experiences, reveling in violence and depravity. But they're also really, really funny. That's the dirty secret of these two nasty little movies: they take their gore and their scares very seriously, but they find plenty of moments to make you laugh. This combination works far better in the more polished sequel, which widens the scope of the series and gives us a larger look at the inner workings of the Eastern European company that lets wealthy tourists murder people for exorbitant fees. The first Hostel is a fairly straightforward film: it sets up a horrific situation and lets it play out in a fairly typical (and extremely tense) manner. 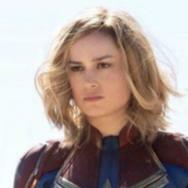 The sequel looks like it'll be more of the same for the first half, but it pulls the rug out from under the audience in the final stretch, completely transforming the intent of the film into... well, that would be a spoiler. But it's all very weird, very funny, very violent and it ends with one of the great closing shots in horror history. Hostel is good movie, but Hostel Part II is its partner in crime. Once you watch both, it's difficult to separate them. They manage to make each other better. If you think countless bad horror sequels are a recent phenomenon, you should take a history lesson. Movie studios have been pumping out worthless sequels to great horror movies for upwards of 80 years now and no horror icon has been a bigger victim than Frankenstein and his monster. However, it needs to be noted that the first Frankenstein sequel isn't just an incredible follow-up to the 1931 original, but it's also one of the best horror movies ever made. Bride of Frankenstein should be, without question, the film that every horror sequel looks to in order to see how it's done. 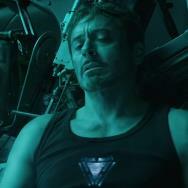 Closely tied to the first film without being beholden to it, the sequel is never afraid to be completely different than its predecessor, pushing and prodding its characters in strange directions. Lighter and a little sillier than the original film, Bride of Frankenstein uses the horror setup to ask all of the questions that the first film couldn't (because everyone was running and screaming and wielding torches on top of windmills). The subtext of the first film becomes text in the sequel, with Dr. Frankenstein struggling with his role as the "father" to a monster and that monster attempting to gain even a glimmer of humanity. 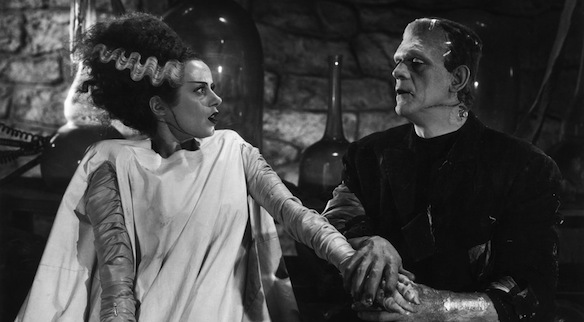 The film's humor only masks its cynicism; Frankenstein was a dark movie because it was about a monster who goes on a rampage, while Bride of Frankenstein is a dark film because it acknowledges that we're all pretty much doomed. One of the most common attributes among the truly great horror sequels is their willingness to completely abandon the tone of the original film and try something new. After all, as the glut of poor sequels have shown us, doing the same thing over and over again only leads to diminishing returns. No horror movie has ever done a total 180 on tone quite like Evil Dead II, which ditched almost everything about the first film and became a masterpiece for it. 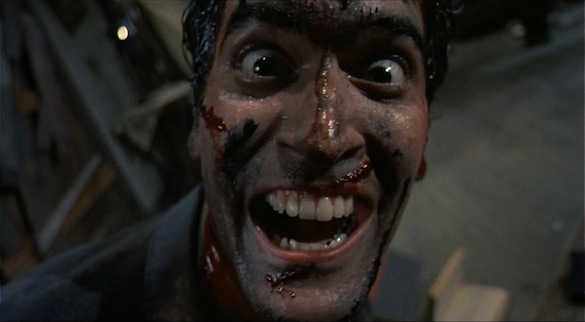 Evil Dead II replaces The Evil Dead's gruesome, low-budget gnarliness with straight-up slapstick comedy, drawing an insane (and gleefully accurate) connection between horror movie violence and the Three Stooges. It's the kind of thing that has no right to work as well as it does, but director Sam Raimi pulls it off, finding the common ground between people getting hurt for our amusement and, uh, people getting hurt for our amusement. The real brilliance of Evil Dead II (other than it being really funny and clever and well made) is its acknowledgment that horror and comedy are separated by the thinnest of lines. And that they complement each other quite well. When you watch George Romero's zombie movies, you realize that he's actually not that interested in the zombies. Each of his Dead movies (beginning with Night of the Living Dead) use the threat of flesh-eating walking corpses to play around with whatever ideas are currently on his mind. The result is a loosely connected series where each entry represents a creator at a different time in his life with very different things to say. 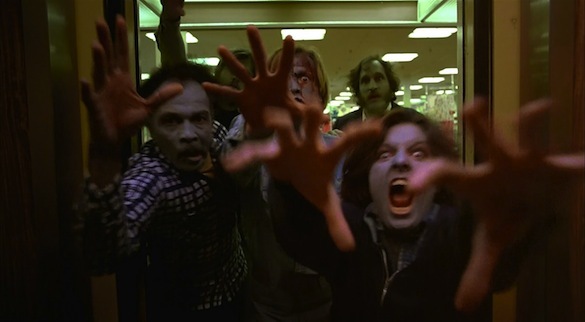 Romero's voice was never stronger than it was in Dawn of the Dead, where he used the story of a small group of people waiting out the apocalypse in a mall to comment on American consumerism. The sledgehammer satire is a drastic change of pace from the more serious-minded Night of the Living Dead, but the results are refreshing and fun, especially since we live in a time where straightforward zombie tales have officially been done to death. In fact, Dawn of the Dead's general weirdness and satire not only set it apart from the first film but also from just about every other zombie movie ever. 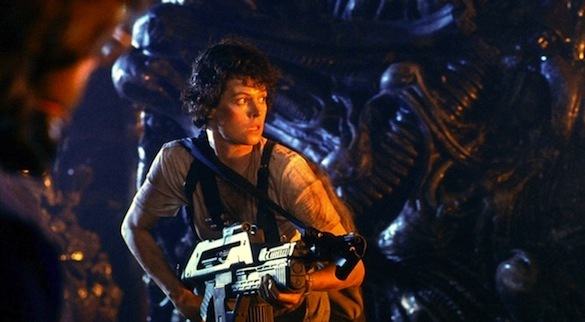 Despite its science fiction setting, Alien is one of the greatest (and most straightforward) horror movies of all time. Boiled down to its essence, it's a movie about a monster that wants to kill a bunch of people in a place where there is no easy escape. All of its impact relies on execution. Aliens is a fascinating and wonderful follow-up because it refuses to play with the same bag of tricks as the original. It may directly follow the events of the first film, but it's very much its own thing. Gone is the "haunted house in space." Aliens is an action movie with a thick horror coating, giving the heroes far more power than in Alien while increasing the threat tenfold. Instead of a horror movie where victims are picked off one by one, Aliens is a horror movie where the victims are more than capable of fighting back. After the terror and helplessness of Alien, the violent catharsis of Aliens is not only earned, it's necessary.